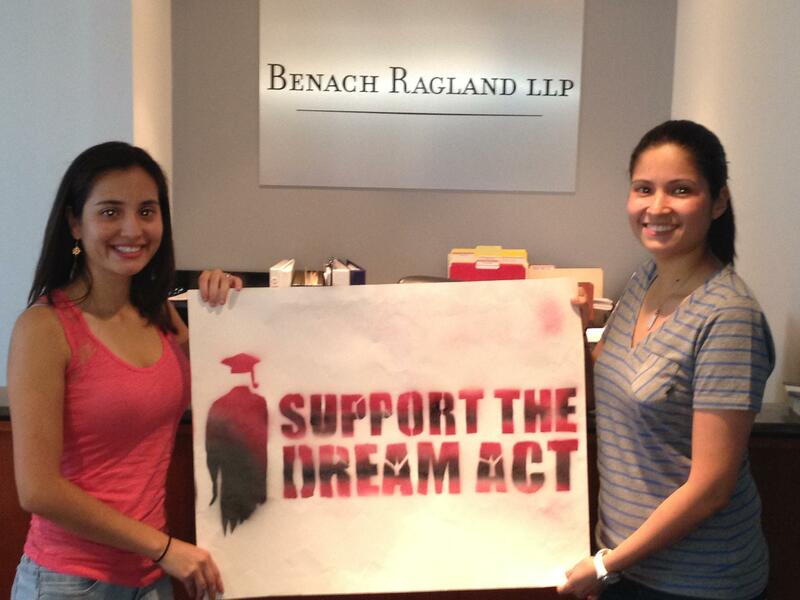 We are starting a new series here at Benach Ragland to introduce our readers to some of our clients who have sought and obtained Deferred Action for Childhood Arrivals (DACA) benefits. We profile these extraordinary young people who make up our community, contribute to its richness and have exemplary talents to offer to demonstrate the many good reasons to support the DREAM Act and common sense immigration reform. Over the summer, all of us here at Benach Ragland were lucky to meet a couple of outstanding DREAMers, when Roxana and Silvana Bedia visited our offices from West Palm Beach, Florida with their parents. They were doing the obligatory trip for all American families- trudging through the muggy heat of a Washington summer to visit the monuments and memorials to American history. They made time to visit us. For the first time in their twenty years in the United States, Roxana and Silvana had hope that this country would accept them, if not as quite completely as they have accepted their adopted homeland. Their father was an economist in Peru, when things went off the rails there. Eager to give his family a chance at a future without the Shining Path, the Tupac Amaru and Alberto Fujimori, the Bedia family made the great leap to el norte. Silvana was just six years old, and Roxana, three. They barely have memories of Peru. Their parents struggled to build a life for them in the United States. Their mother left a professional career at a bank in Peru. The only one in the family with English skills, Mrs. Bedia became the breadwinner, working all day as a secretary and late into the night at a grocery store. The sacrifices made by their parents paid off as Roxana and Silvana thrived in the U.S. They gained admittance to a magnet school in law enforcement. Both women intend to pursue careers in law enforcement. Roxana attended the University of Florida and got a degree in Political Science/ Criminology with a minor in American history. She wants to go to law school to become a prosecutor. Silvana went to the University of Central Florida, where she majored in Criminal Justice- Crime Scene Investigation. Silvana also wants to go back to school—not to become a lawyer, but to deepen her understanding of forensic science. As Roxana and Silvana have waited for relief from their immigration status, they have put their talents to good use. They both work at a rural health clinic where they help deliver medical care to a highly vulnerable population. Roxana and Silvana have a lot to offer this country. Both women have outstanding potential to contribute to their community and both have sought a life of public service. With the recent approval of their DACA applications, Roxana and Silvana will be given the tools they need to make their contribution. We have been honored to have the opportunity to get to know the fabulous Bedia sisters. Im a dreamer myself, i just received my employment authorization card. Im a a senior at an early high school and i would graduate this year with my high school diploma and my associates degree in criminal justice. Most law enforcement positions require citizenship.